Caroline Russell has commented on the fact a fifth of Londoners are still paid less than the London Living Wage. This was revealed today in a report from the New Policy Institute – funded by Trust for London, and at the same time as Caroline backed a call for the Mayor to review pay in the hospitality sector. 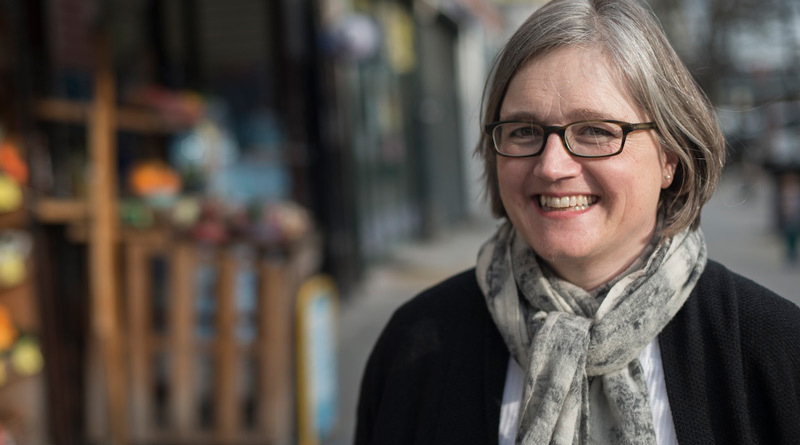 Caroline spoke in support of a motion in the London Assembly this week for the Mayor to undertake an evidence-led review of the benefits to the hospitality sector of paying the London Living Wage. Although the five year increase in low pay has halted, the overall picture is bleak. The New Policy Institute’s report revealed that over the last decade the proportion of full-time low paid jobs has increased from 6% to 12%. “This new analysis shows the shocking extent of low pay in London, affecting especially those living in the outer boroughs. “The London Living Wage is just enough to scrape by, but as 21% of Londoners earn less than this, these Londoners are probably not even scraping by. “London may be ‘the greatest city in the world’ but for the 64% of Londoners working in the hotel and restaurant sector suffering in-work poverty it’s certainly not. “Businesses have an ethical duty to pay employees properly and if they did they might find out that it’s good for business, helps recruit and retain staff, reduces sick leave and boosts staff morale and productivity. In 2016, the five boroughs (Bexley, Harrow, Enfield, Sutton and Waltham Forest) with the highest proportion of jobs paid below the London Living Wage are all in Outer London. In these boroughs, over 30% of jobs are low paid. The five boroughs (Tower Hamlets, Islington, Southwark, Camden, and Westminster) with the lowest proportion of jobs paid below the London Living Wage, are all in Inner London. None were over 15%. Many boroughs have experienced relatively large changes in the number of low-paid jobs compared with 2013-14. For example, mostly Outer London boroughs such as Sutton, Merton, Havering, Redbridge, Barking & Dagenham and Barnet all saw increases of five percentage points or more. Of the five boroughs (Waltham Forest, Enfield, Barking and Dagenham, Brent and Newham) with the highest proportion of low-paid residents, four are in Outer London, with three in the Outer East & Northeast. The borough with the highest proportion of low-paid residents is Newham (34%), in Inner London.